AI, Machine Learning, Deep Learning. Why should I care? Artificial Intelligence (AI) is a research field focused on creating solutions that can independently make decisions and draw humanlike conclusions. If it scared you a little, you probably remembered movies or fantasy books about robots taking over control of the world. No wonder. Research and development of AI have been ongoing since the 50 of the last century, with the computers’ development. First thoughts in mass culture about AI were a reflection of the fears that accompanied the generations living in the shadow of the Cold War and arms races. But what really is AI? As you see, we seek AI for nearly 80 years. The only reason for recent boom in media is the fact that we are getting closer; thanks to a subset of Machine Learning that is called Deep Learning and Deep Reinforcement Learning. When we say "Machine Learning", we mean techniques that let computers perform operations based on data or real world observations without being explicitly programmed to. In essence it gives us a way to obtain algorithms that can develop intuition to perform tasks based on a number of examples. Let's say Netflix wants to build a recommendation system. They can do it just by collecting examples of movies you like or not and use this information to train a model that accurately predict whether you are going to like the new movie they recommend. If you don’t give them enough ratings they still can predict how you like a movie based on your behavior - what you watched yesterday, did you ever pause, did you binge over particular series, did you watch the whole episode and many other details. Such process of extracting useful patterns from unstructured data (like a stream of user interactions ) is called feature extraction and is the fundamental task that humans had to do in classical Machine Learning. 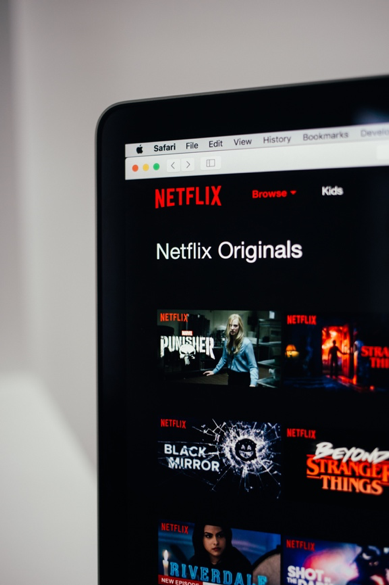 It means that in case of Netflix the machine could not decide for themselves which viewer’s behaviors say the most about his involvement in the film (or a lack thereof ). Distinguishing significant patterns of actions (features) was a human job. With the advent of deep learning, feature extraction, a labor-intensive task is successfully taken over by algorithms, what makes years of research on machine learning - partially obsolete. Deep learning opened the door to yet uncovered parts of the Machine Learning. Like Generative Adversary Networks ( GANs), where computers are able to generate any images or transform faces in movies. Companies seeking humanlike AI (AGI) use Deep Reinforcement Learning that let computers reproduce a 300-year history of research on Go in over a month, or create complex multi networks models interacting with Humans over the phone to book you a hair dresser appointment. The fields in which you can apply deep-learning techniques are plenty. It began with Computer Vision and now extends to machine translation, natural language processing and natural language understanding, voice recognition, speech synthesis, security, image (videos or photos) generation and editing, medical diagnosis etc. To navigate the hype-wave, knowledge and inspiration are in price. Here, in Applied AI section of our blog, you will find recent and thrilling examples of deep learning applications. Use them for your business advantage.